The all new RocLite 325 GTX is one of the lightest water-proof off road adventure boot on the market. Delivering deep cleated sticky rubber outsole, that holds true on any terrain, wet or dry. With industry leading climate control, the GoreTex waterproof membrane. 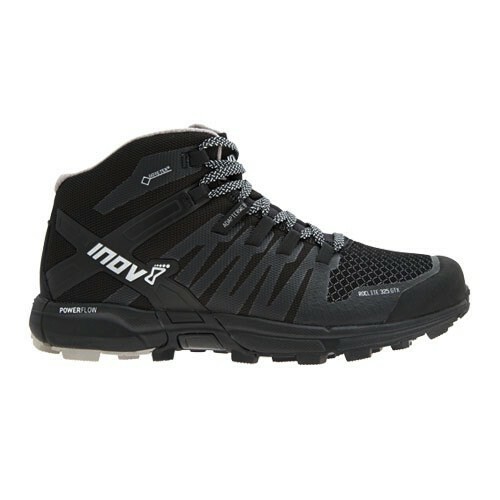 Choose this shoe if your looking for versatile off roader that will deliver all day comfort and waterproofing in any conditions, particularly good for long wet grass and snow use. FEATURES INCLUDE: Upper: The updated highly durable upper made of a new denser weave mesh that delivers ample durability and breathability. Footbed: Comfortable and interchangeable, the Roclite utilises a cushioned 6mm innersole for comfort during long runs. Sticky rubber: A carefully blended Sticky rubber make up the RocLite sole, medium sticky compound is used to deliver traction and Grip over mixed terrain. Meta-Flex™ insert delivers a controlled but natural forefoot flex. Met-Cradle™ lacing cradles the forefoot behind the metatarsal heads to provide a secure foot hold while running up or down hill. 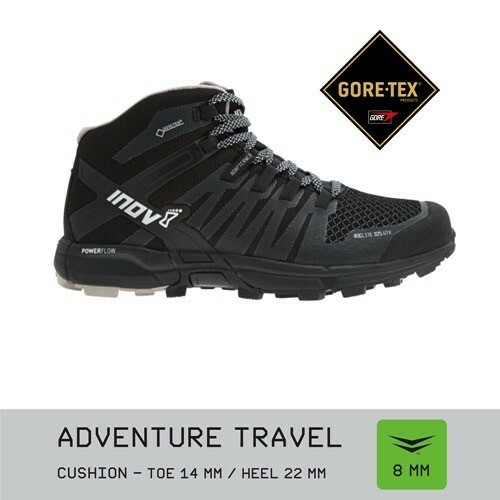 GoreTex™ waterproof membrane built into the lining the shoe for total climate control in all conditions.